As of the 2010 census, Hagerstown has 751 households, of which 62% are families, and 31.4% are families with children under 18 years of age. The average household size in Hagerstown includes 2.38 persons, and the average family size includes 3.02 persons. 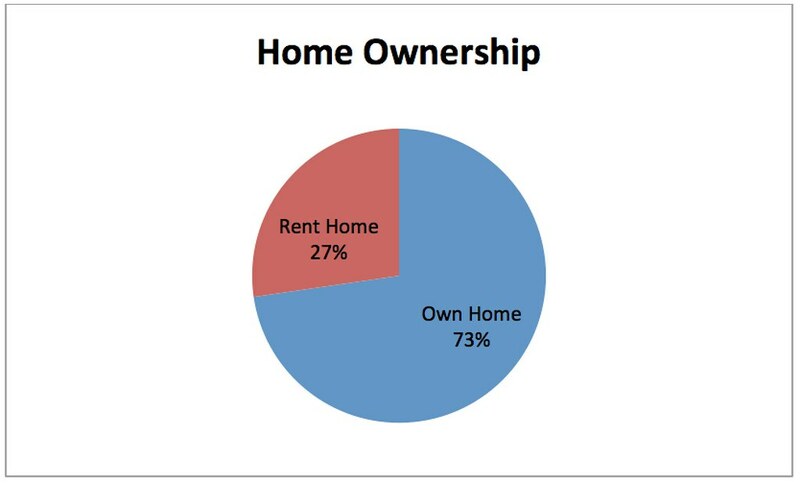 Of the 751 occupied housing units in Hagerstown, 72.7% are owner-occupied, and 27.3% are occupied by renters. Over 66% of the residents lived in the same house five years ago and over 90% lived in the same house one year ago. The estimated household income for 2011 was $49,529. The estimated median house value for 2011 was $120,500. The March, 2012 cost of living index for Hagerstown was rated at 87.0, so we were less than the U.S. Average of 100.0.